Further rent rises in Limassol are expected as thousands of construction workers needed to complete numerous projects will require accommodation in or near the city pushing rents up even higher. THE LIMASSOL Chamber of Commerce and Industry (Keve) warned this week that rents in the city will continue to spiral, ironically because of the thousands of construction workers needed to complete the many development projects underway, and all requiring housing in or near the city. The head of Limassol Keve, Costas Galatariotis, told the media he expected around 6,000 workers to burst into Limassol in 2019, further boosting an already heightened demand for housing by students and foreigners, resulting in a renewed hike in rental prices. He said that five foreign companies involved in development projects in Limassol over the next 20 months will be needing a total of 3,000 construction workers, while an additional staff of around 2,500 will be needed for the city’s casino and another 800 to work in the two new hotels. The initial labour force needed for the casino will actually be higher, according to Kypros Hadjiathanasiou from Gnora Communications which represents the integrated casino resort, City of Dreams Mediterranean. The construction phase which is set to begin in the coming months will require 4,000 workers, he said. It is only once the casino resort is fully opened in 2021 that the number of permanent staff will fall to 2,500, Hadjiathanasiou told the Sunday Mail, adding that most of its workforce is local. Currently around 800 employees work in the existing satellite casinos in Nicosia and Larnaca, and in the temporary casino in Limassol. According to Yiannis Markides, the head of the Limassol branch of the construction workers’ association, Galatriotis’ warnings were valid but signs of an influx of workers into Limassol were not there yet. “In fact, there is still a shortage of specialist construction workers in the industry,” Markides said. Demand is particularly high for certain levels of expertise, such as formwork workers and ironsmiths, as many of the projects underway are new to the island and the local workforce. “The bringing of construction workers from abroad would be a gift for us,” Markides added, recognising that this would however bring a new rise in rental prices. However, should specialised workers be needed from abroad, as Markides contends, or should the local labour force not suffice for the construction of planned developments, soaring rent prices will pose a problem. In addition to the new price hike from the resulting increase in demand for housing, as predicted by Galatariotis, production costs will also rise as the cost of accommodation will need to be shouldered by the construction company. 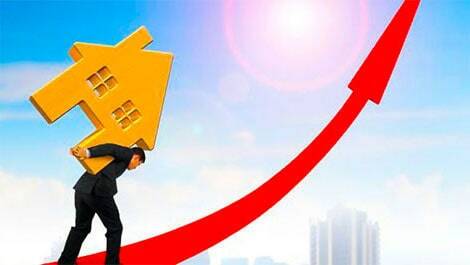 According to the Rics Cyprus Property Price Index as at June 30, 2018, across Cyprus on an annual basis flat rental prices increased by 18 per cent, houses by 17.7 per cent, and offices by 14.3 per cent. In November, MPs were shown data, according to which rents in Cyprus were comparable to – sometimes even higher than – some of the most expensive cities in Europe, like Amsterdam and Barcelona. The average rent in Limassol for a single-bedroom flat, where the tenants are typically college students, was €590. In Nicosia, it averaged out at €560. A number of citizen action groups have been formed in Limassol, staging multiple demonstrations last year, to protest the sky-rocketing rental prices that have accompanied the construction of high-rise after high-rise, which target the higher budgets of wealthier foreigners, while local salaries remain stagnant with tenants often struggling to cope. To tackle the issue of high rents, Galatariotis said, the interior ministry has agreed to adopt a proposal tabled by Keve, according to which incentives will be offered to encourage the construction of apartment buildings, which will be available for rent only to young couples and workers. In residential zones at the peripheries of Limassol, which are relatively cheaper areas, Galatariotis explained, the allowable building area will be increased by 30 per cent, while the minimum area for a studio will be reduced from 70 square metres to 30, resulting in lower rental prices. Further, the owners of the buildings will be prohibited from selling for a period of eight years, in order to prevent competition amongst contractors, which would raise rental prices. No sound on the RIK News bulletin today. Ed: It’s fine – try turning up the volume slider.